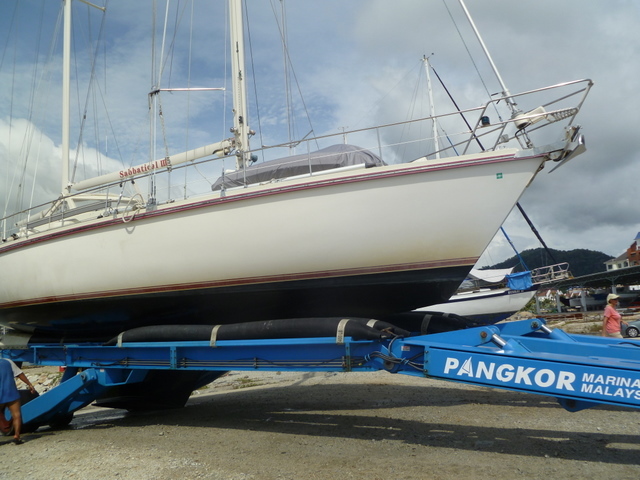 At the end of November, Sabbatical III was hauled out of the water and placed on a hardstand at Pangkor Marina, Malaysia. We are now back in the US and regular blog posts will resume once we return to the boat. In the coming weeks, we will prepare and post some video and additional photos of the last sailing season.